Welcome to the Upgrade Center at Berman INFINITI of Merrillville! Are you ready for a new vehicle? Are repairs costs on an older vehicle adding up? Perhaps you want to know the value of your car or truck or maybe looking to upgrade to a new vehicle that will better fit your lifestyle. 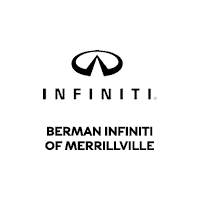 At Berman INFINITI of Merrillville, we’ve created the Vehicle Upgrade Program make sure our customers have the opportunity to drive away in a newer, safer car, in a hassle-free experience. It has never been easier to upgrade your vehicle! The Vehicle Upgrade Program is a vehicle replacement program allowing you to upgrade to a safer, more reliable vehicle while keeping the same or lower monthly payment. Contact us directly at (219) 319-1543 or visit us at 1794 W 81st Ave in Merrillville to learn how easy it is to upgrade your vehicle today!